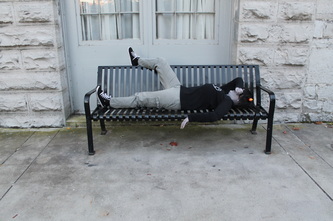 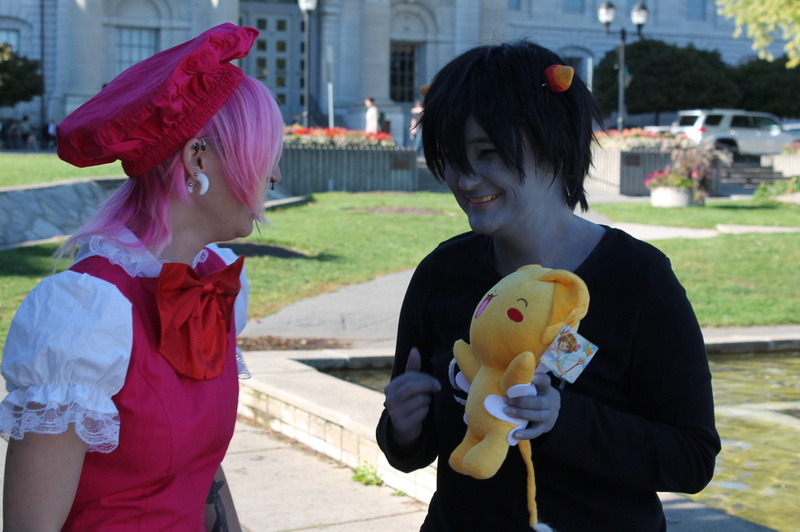 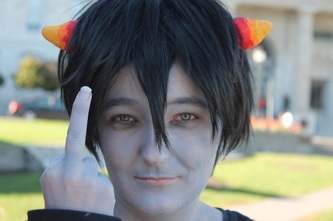 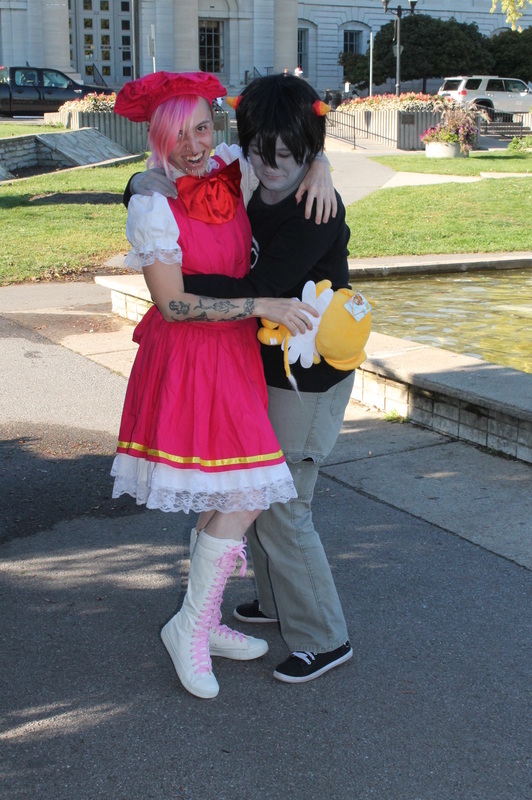 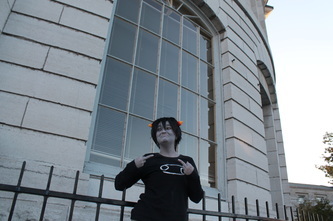 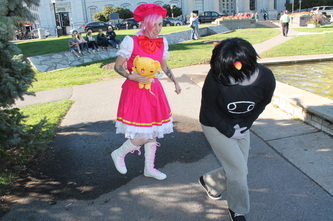 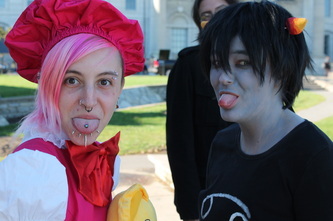 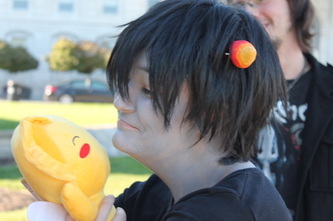 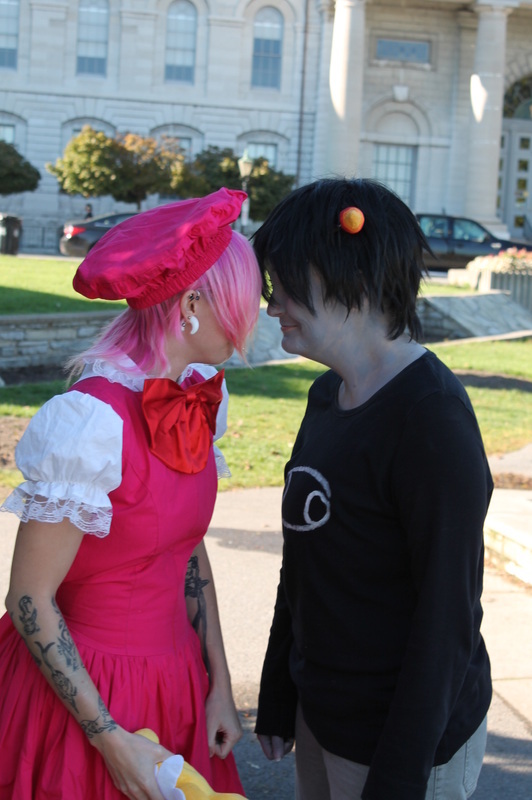 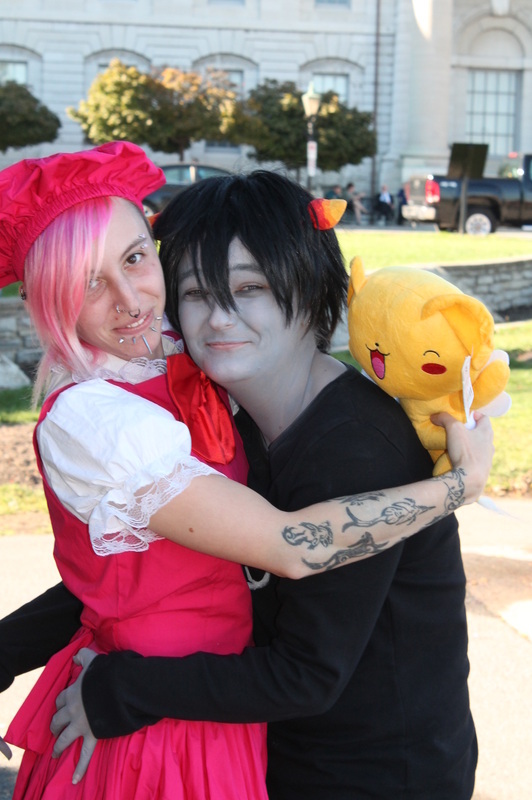 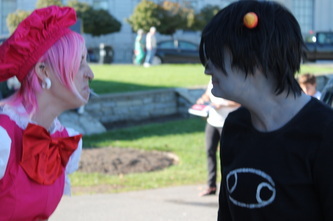 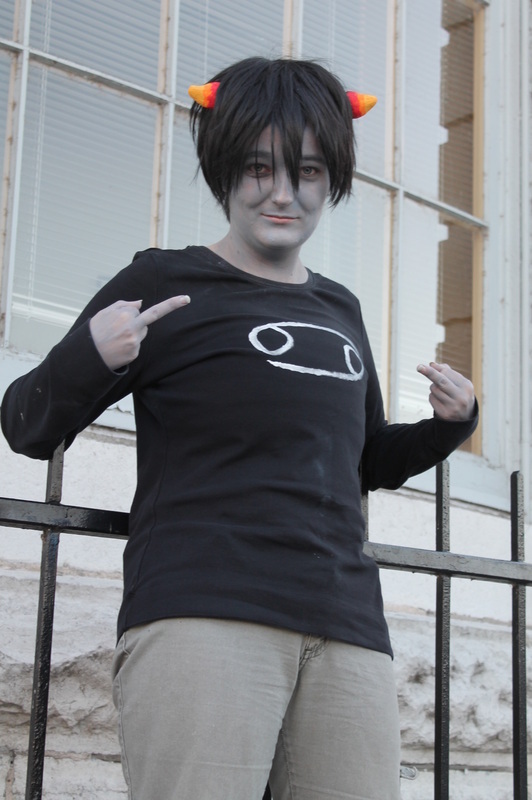 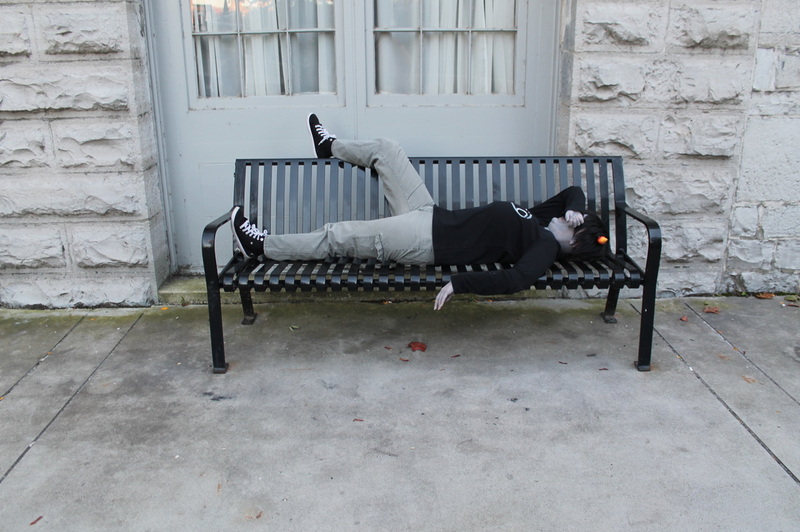 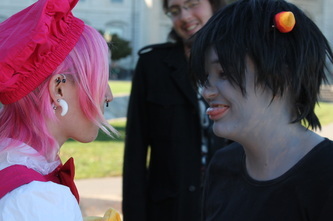 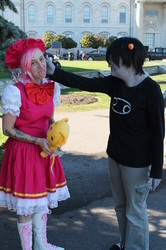 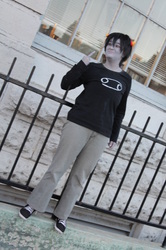 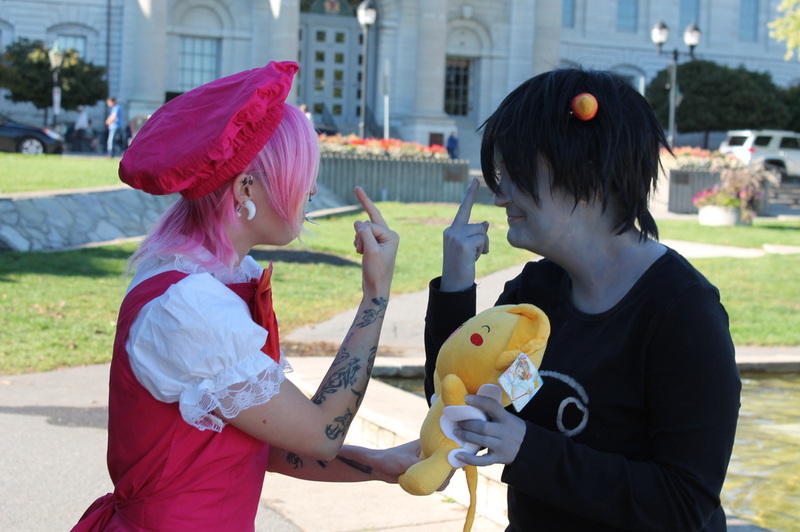 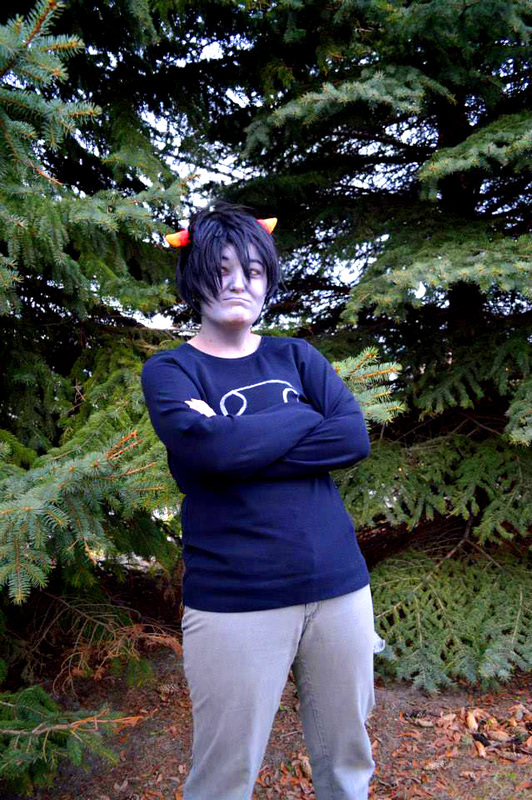 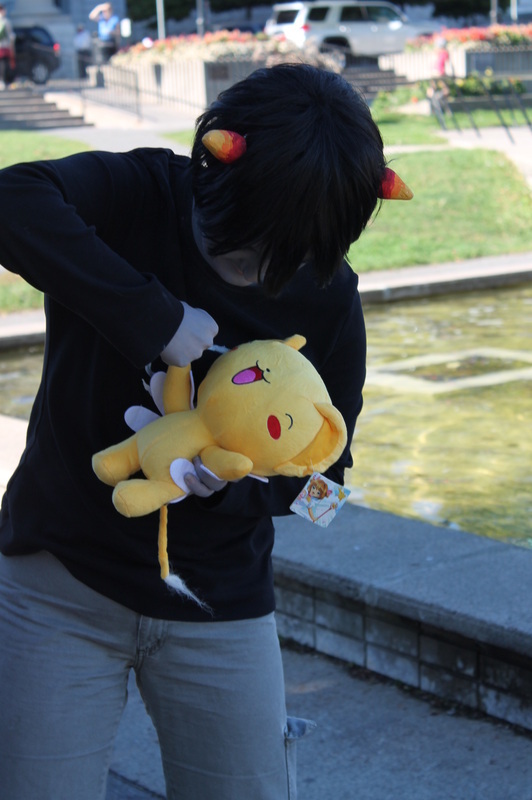 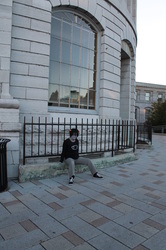 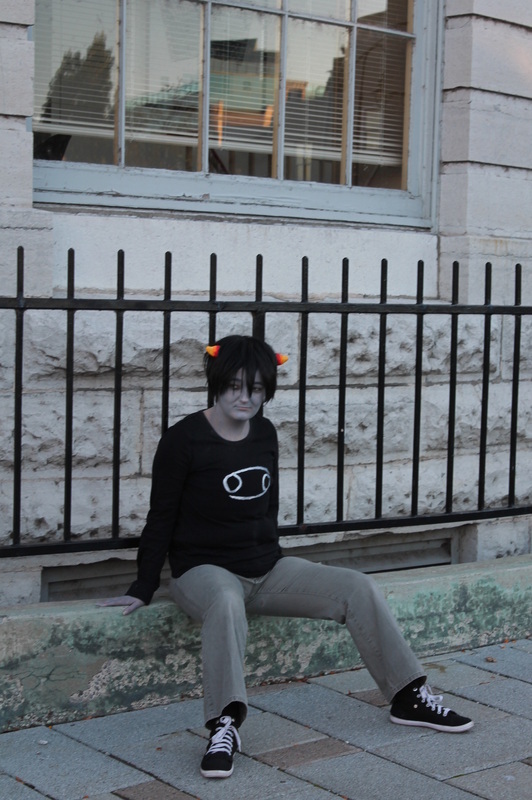 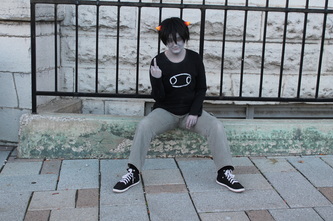 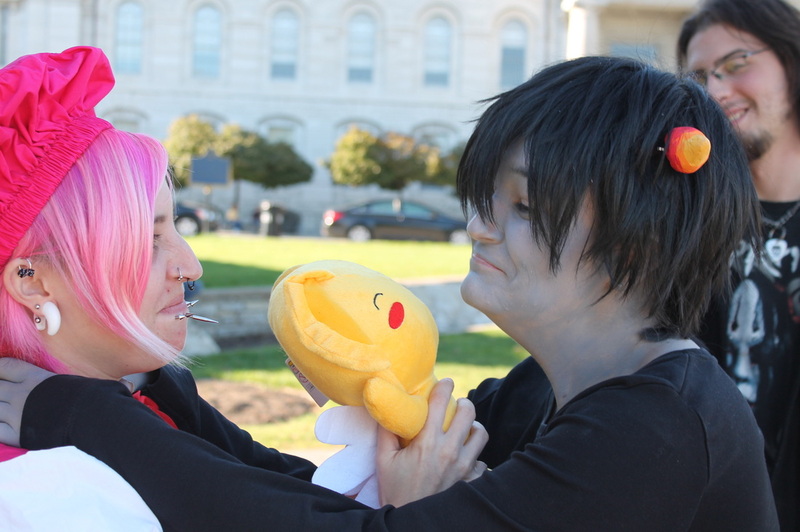 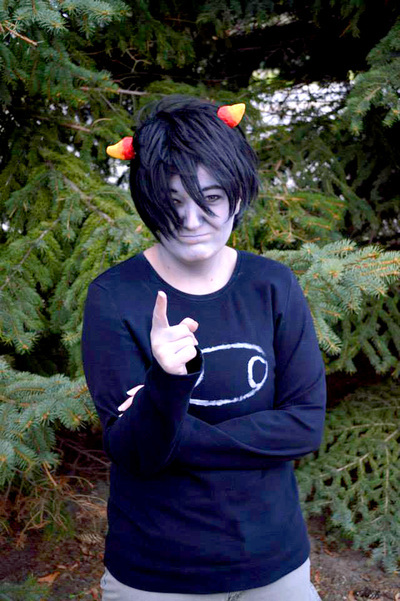 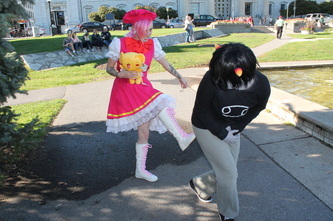 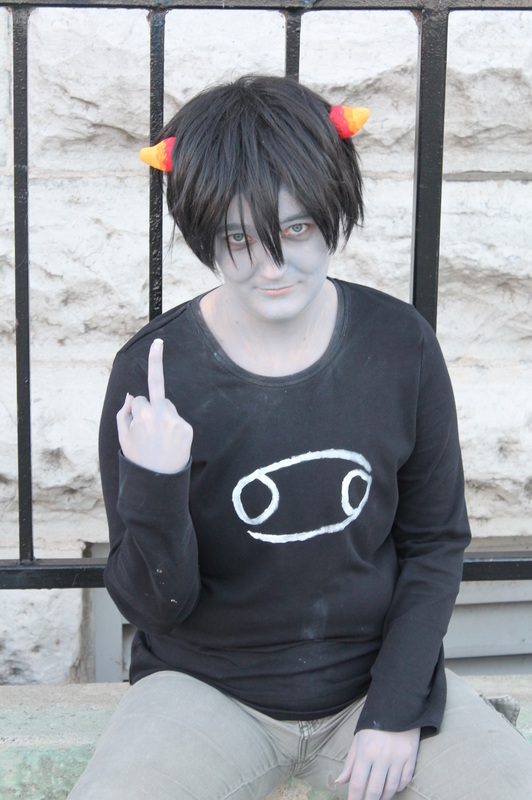 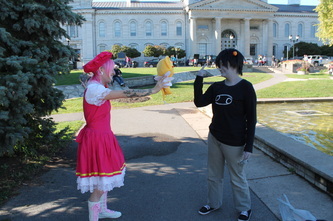 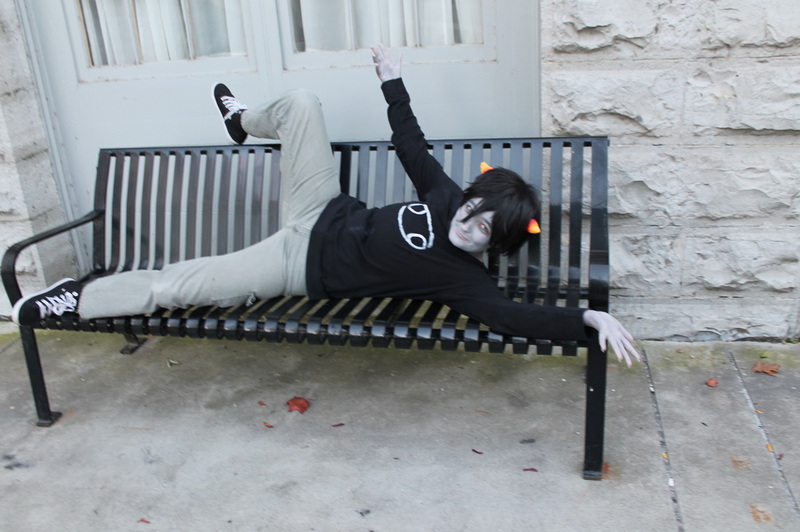 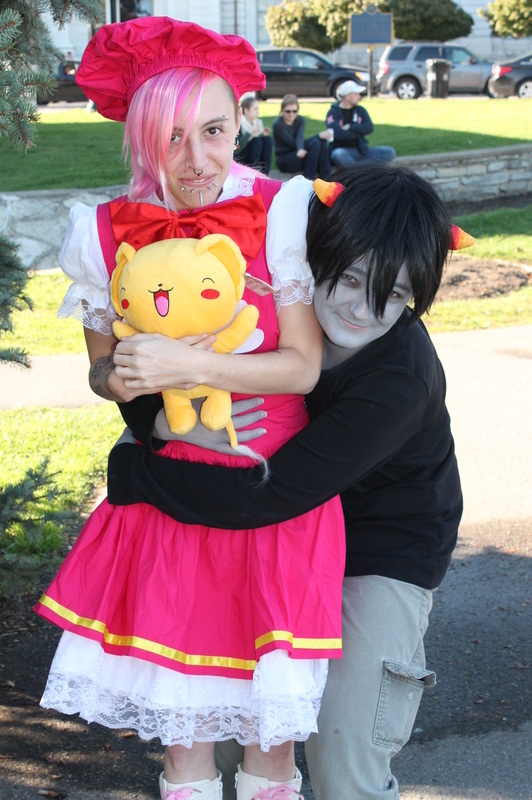 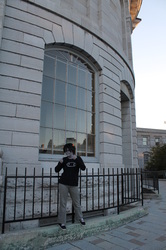 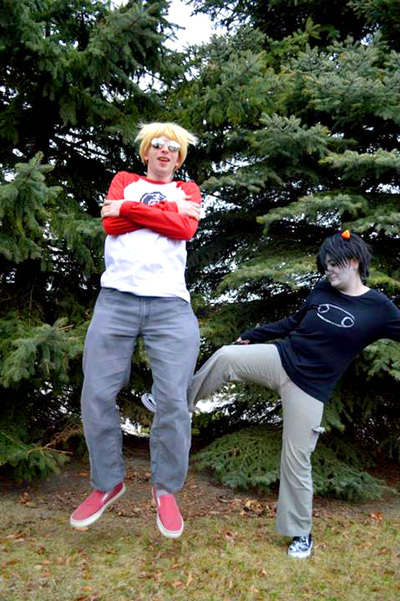 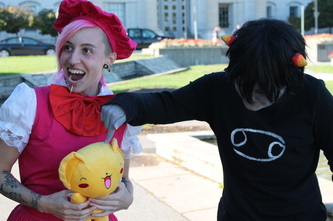 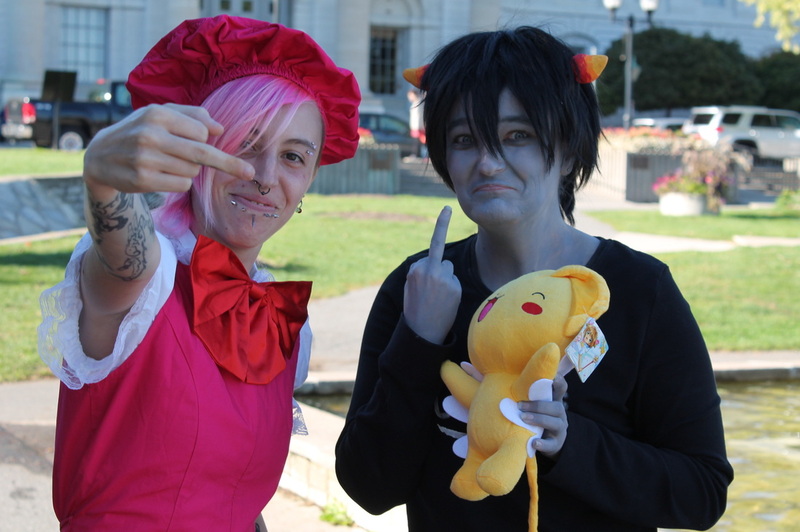 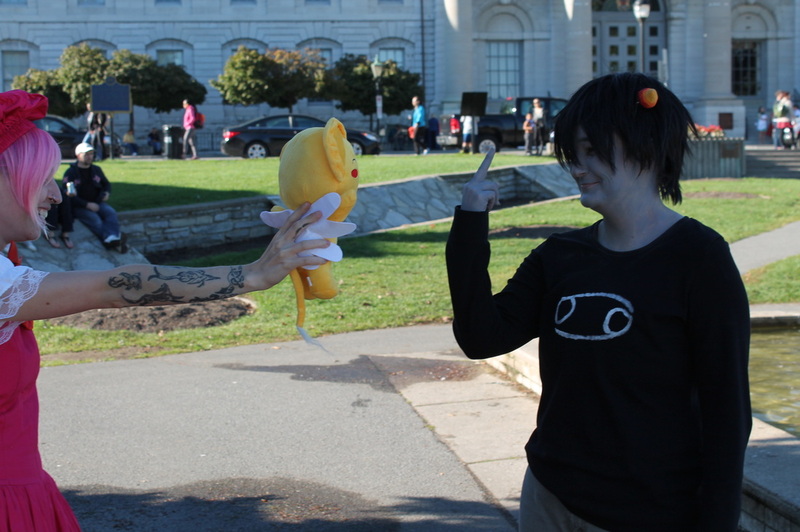 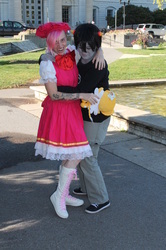 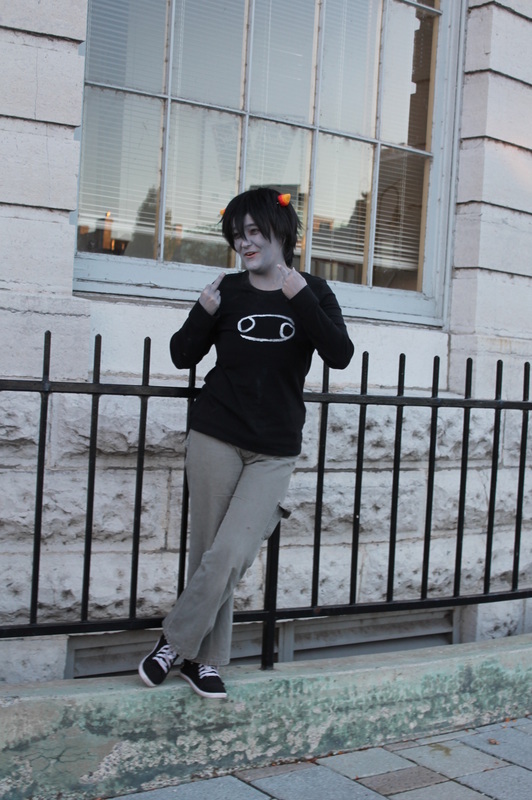 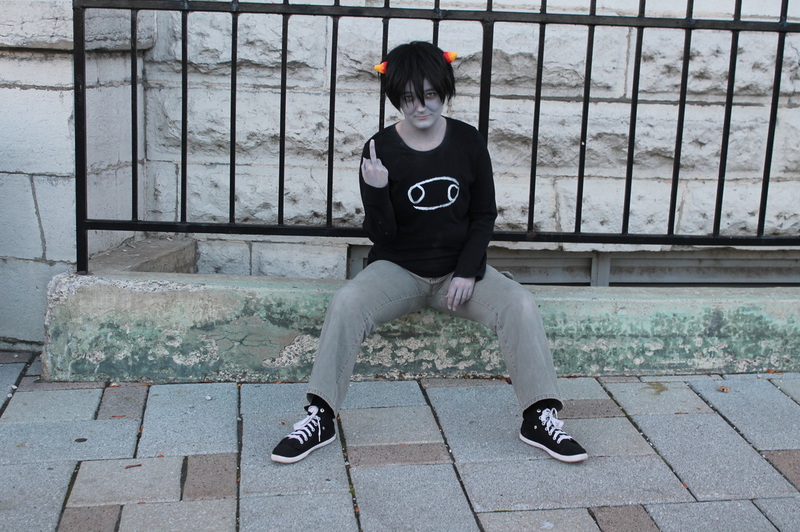 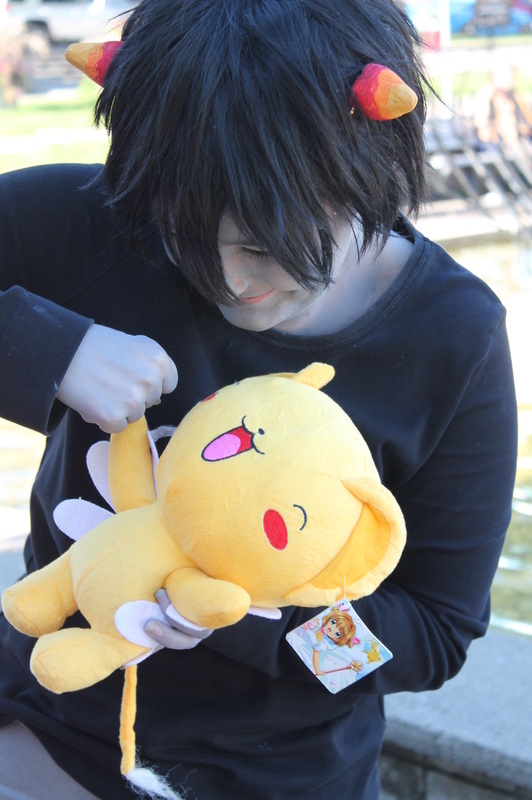 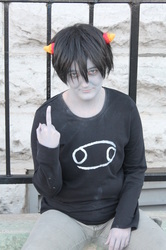 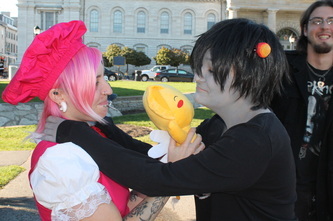 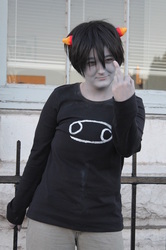 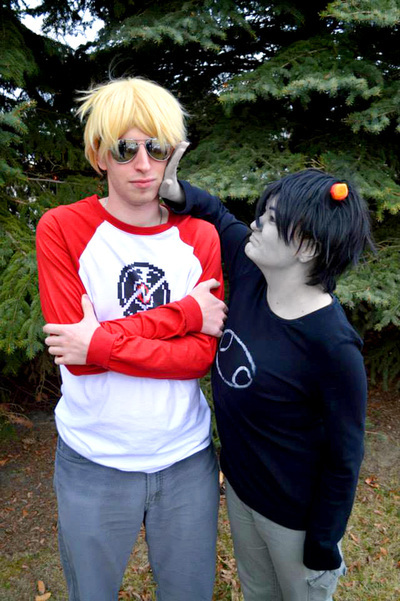 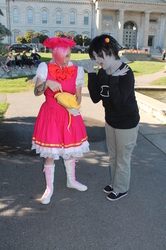 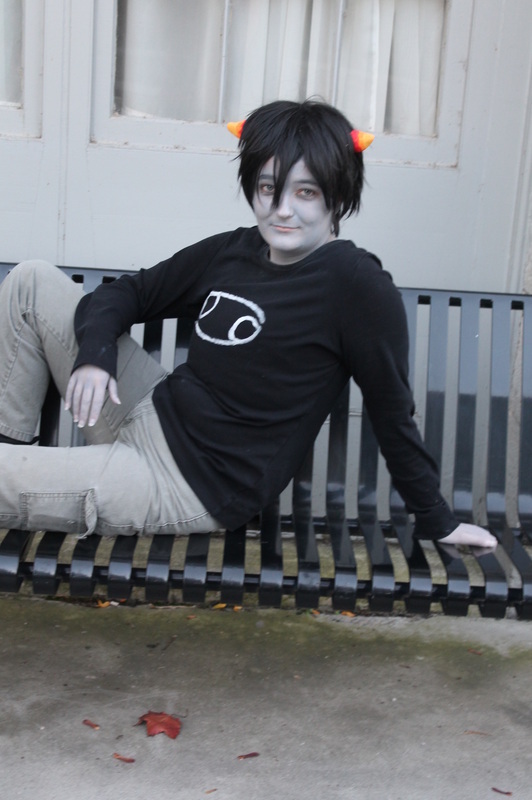 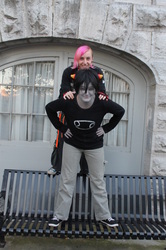 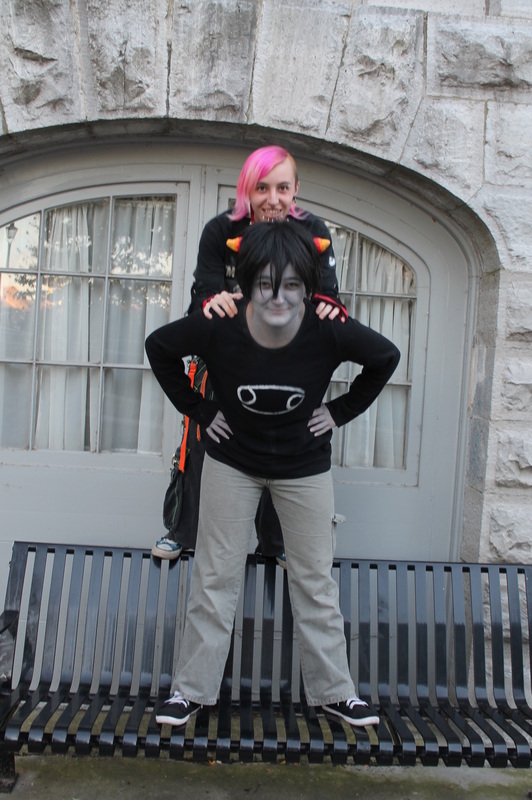 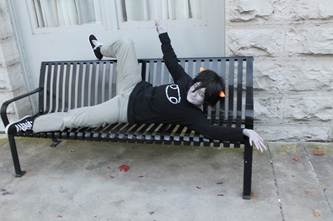 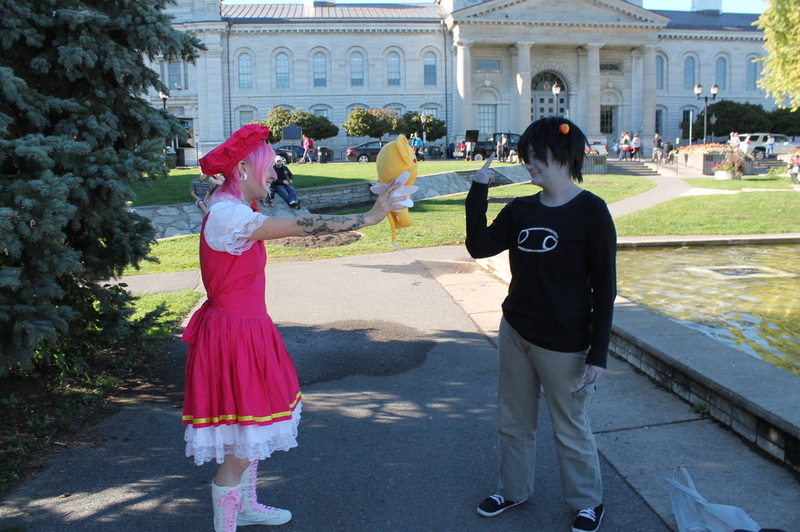 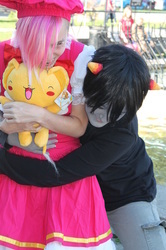 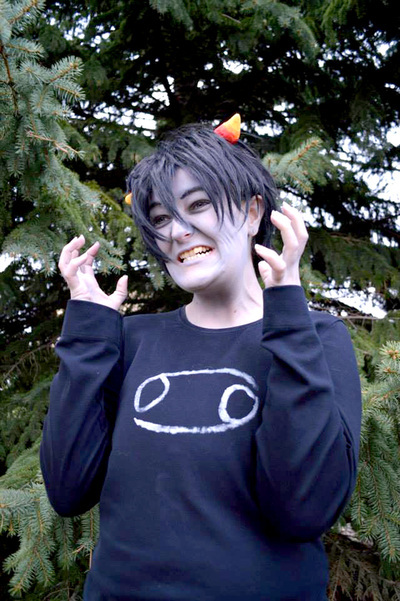 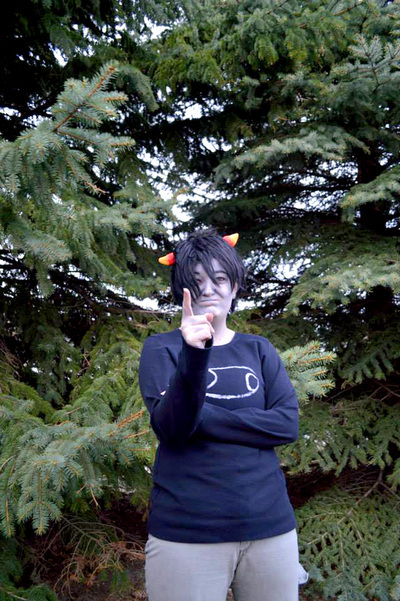 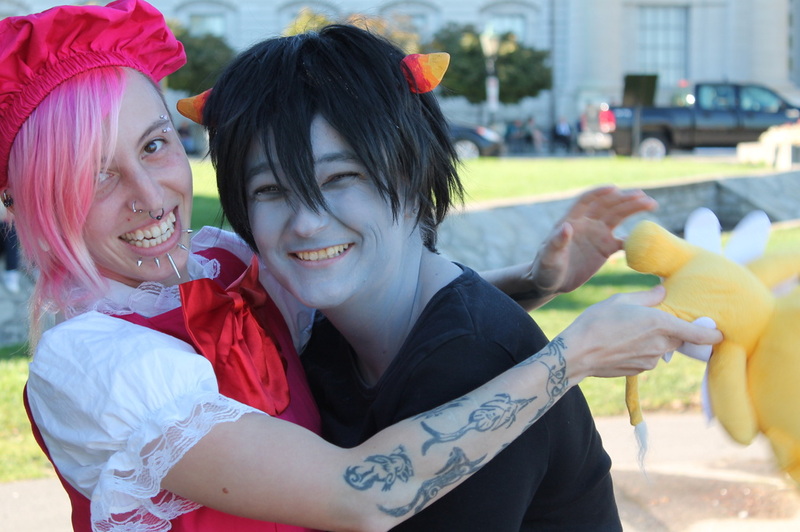 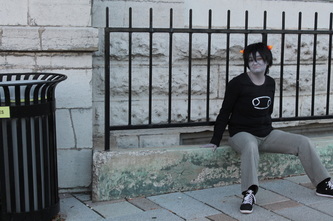 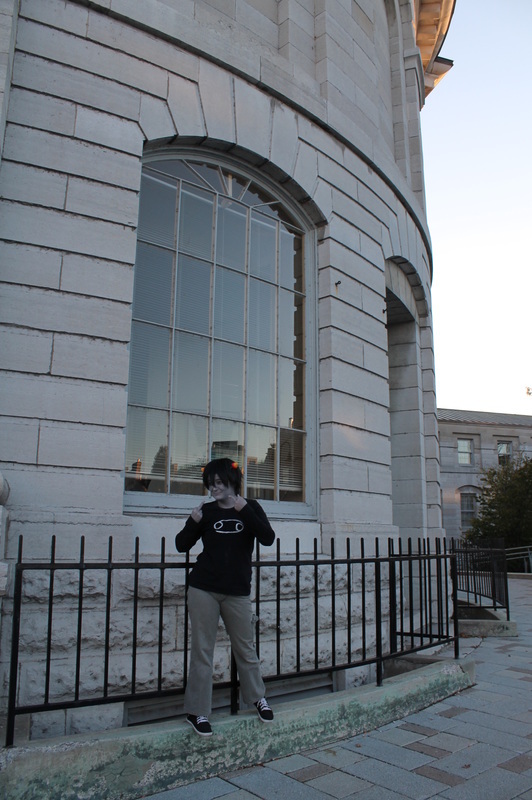 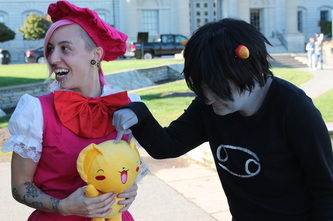 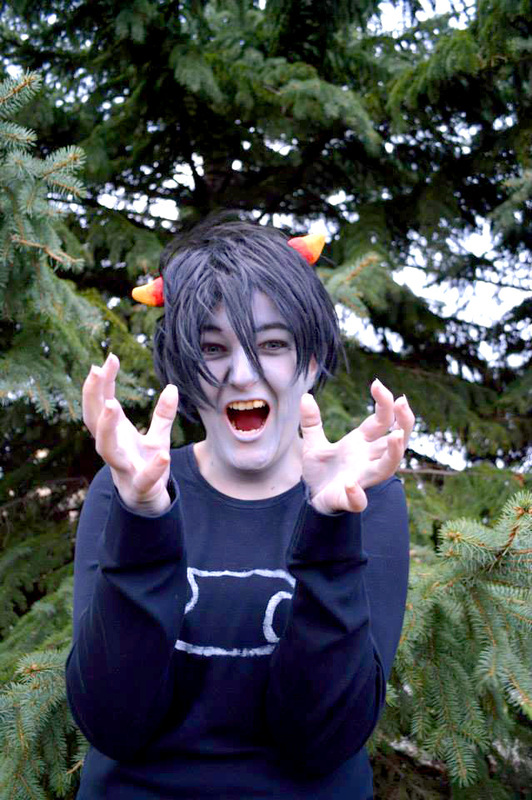 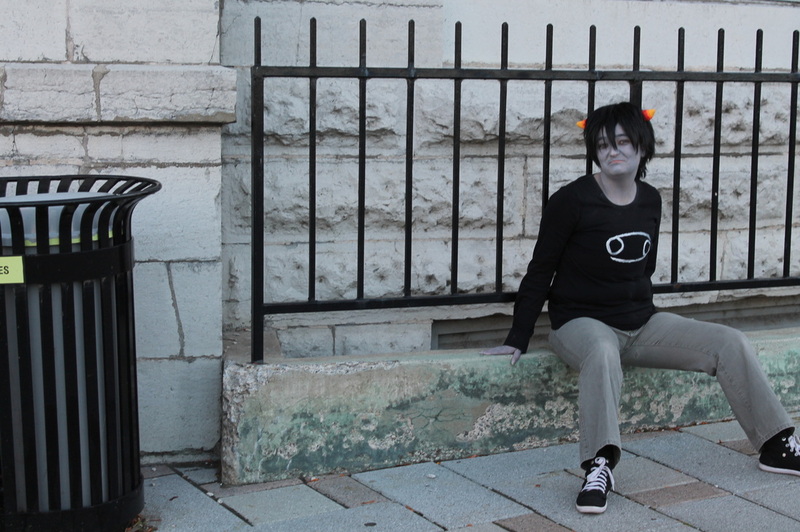 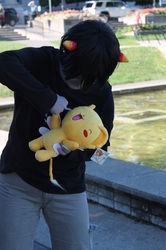 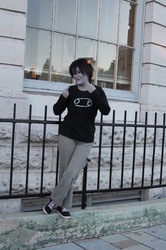 Karkat was luckily very cheap to make as a cosplay! 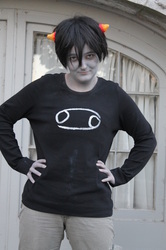 Jeans and shirt were bought at the thrift store and I just painted the Cancer symbol onto the shirt. 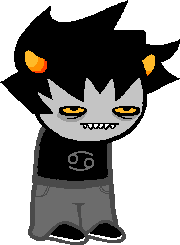 Shoes are re-used from Tavros. 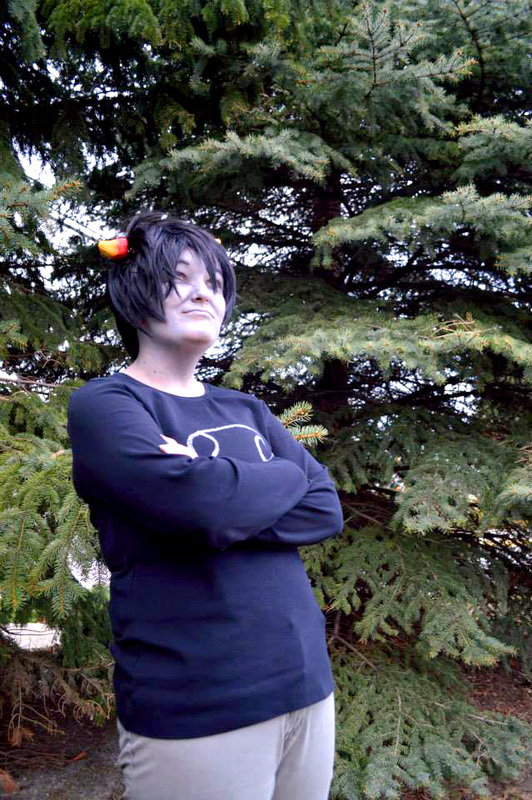 Wig is multi-purpose. 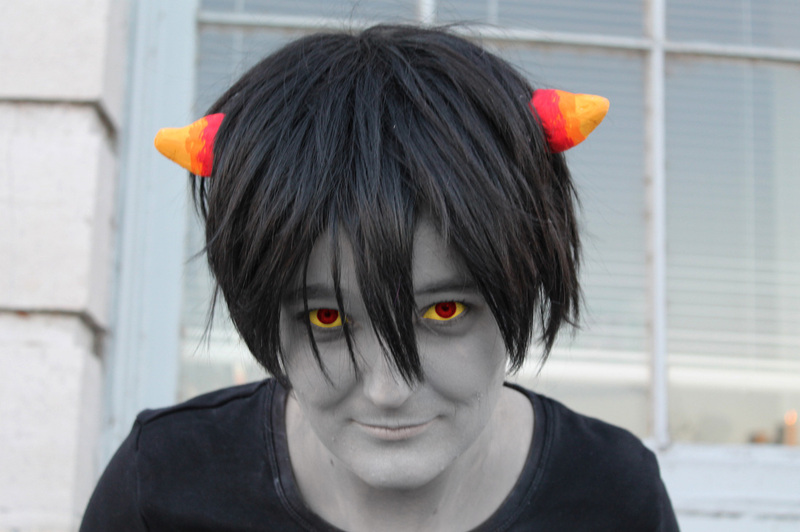 The horns are made of tin foil as a base with spackle and painted. 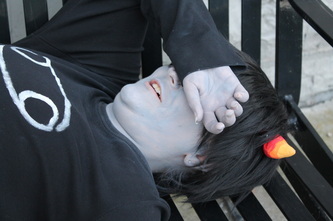 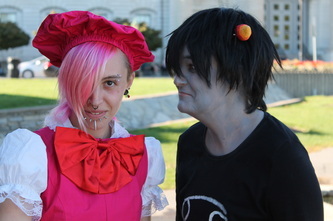 They're hot glued on hair clips put into the wig. 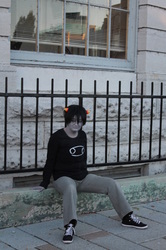 To see larger versions of these images, please visit my deviantART at Midnight-Dance-Angel, Cosplay.com at MDA, or Facebook at MDA Cosplay.